Ever since his match with Clubber Lang, Rocky Balboa has a peaceful life. And now he and former champion, Apollo Creed, enjoy good times and are now the best of friends. But Rocky's peaceful life as a boxer gets paused after a match Apollo went into. Unfortunately, Creed fought Ivan drago, a 6'5" Russian who has never lost a match, and sadly, brutally murders Apollo in the ring. A funeral is held and times start going downhill fast. 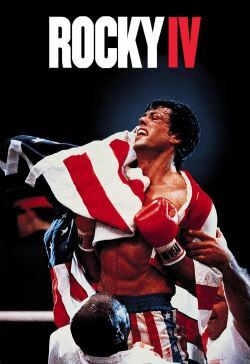 Now, in order to restore honor, Rocky challenges Drago to a match and must beat him for sweet, bitter vengeance.